It’s the work of Portugese Patricia Cunha whose company aims to create urban art bringing ‘colour and joy to inhabitants and visitors’ alike. 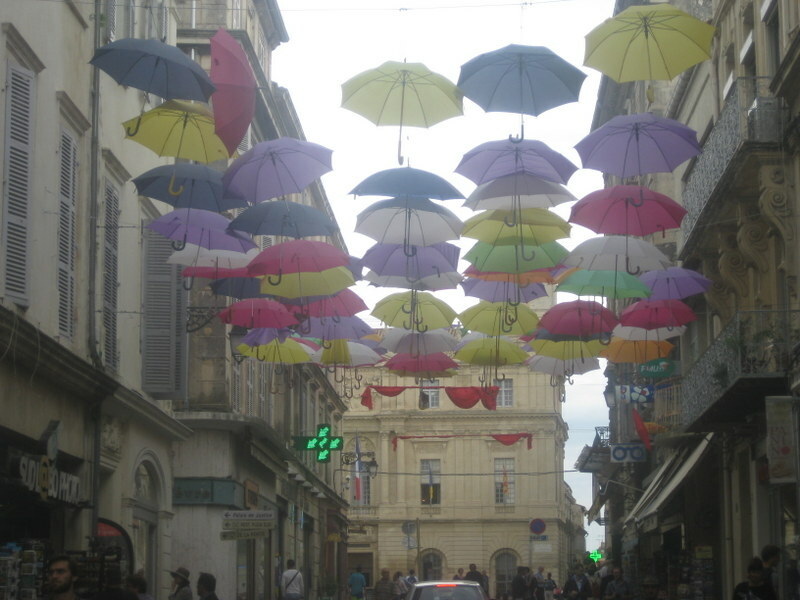 Her slogan is ‘Colouring Life’ and she is certainly doing that to Arles right now. 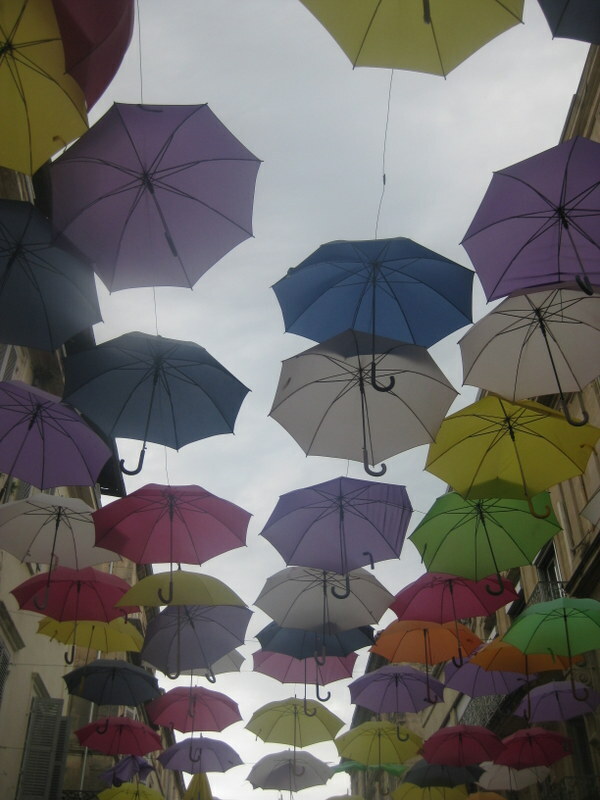 Beautiful, I walked under it last week without noticing the umbrellas the first time. Then photographed them on the way back to the parking lot. 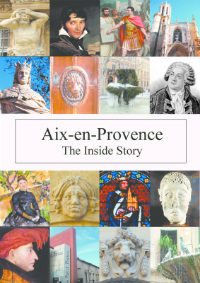 Also, I just received in the mail your book, Aix-en-Provence, The Inside Story for my birthday. I’m enjoying the first perusal. Thanks! It’s lovely and just goes to show that you don’t need to spend masses on art installations to please the locals! 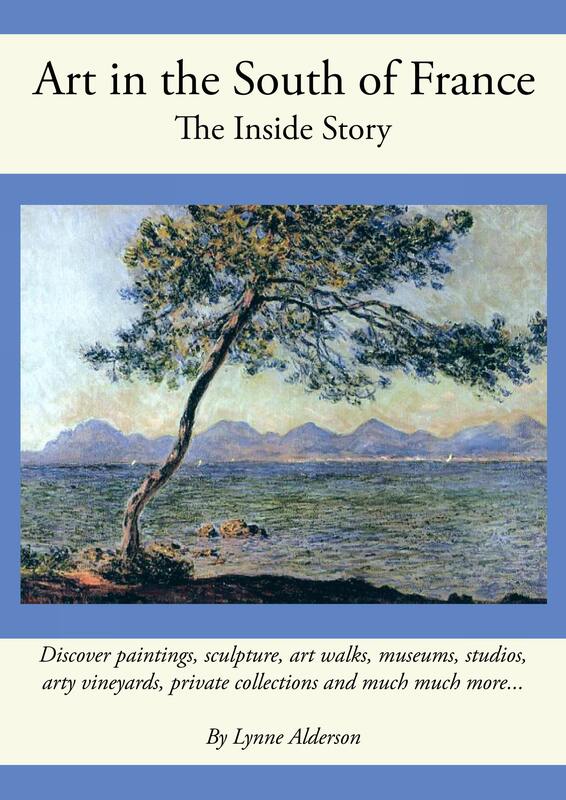 I hope you enjoy the book….